It was a day of joy and excitement for R.D. Rajpal school students when the children of K.G. 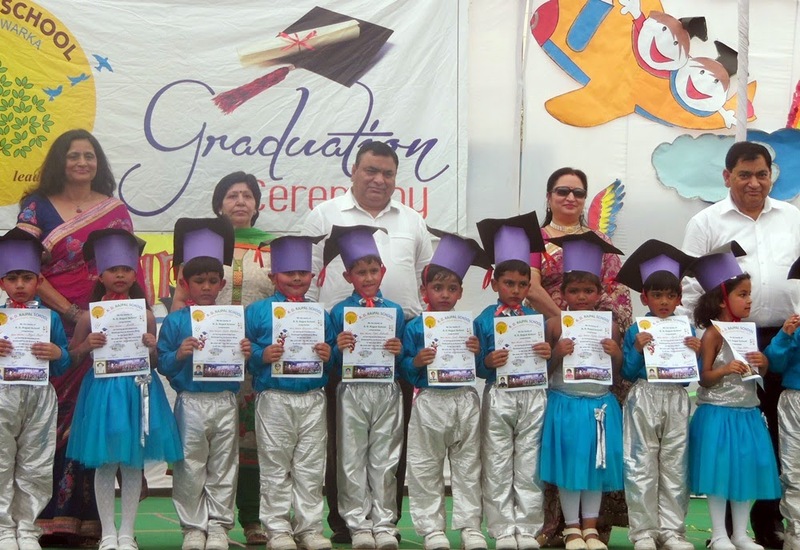 received their graduation caps, signifying their stepping into the world of knowledge and be a part of formal schooling. The programme started with the lighting of the ceremonial lamp by the Chairman, Mr. Ishwer Rajpal and Principal Mrs. Alka Kshatriya. The milestone achievements of the students that have made it possible for the school to be one of the top ranking schools in West Delhi were highlighted by the Principal. The cultural programme comprising orchestra, music, skit and dances proved worthy of high acclaim. The message promoted through the skit “Swachh Bharat Abhiyan” while the dance item conveyed the need to observe traffic rules.